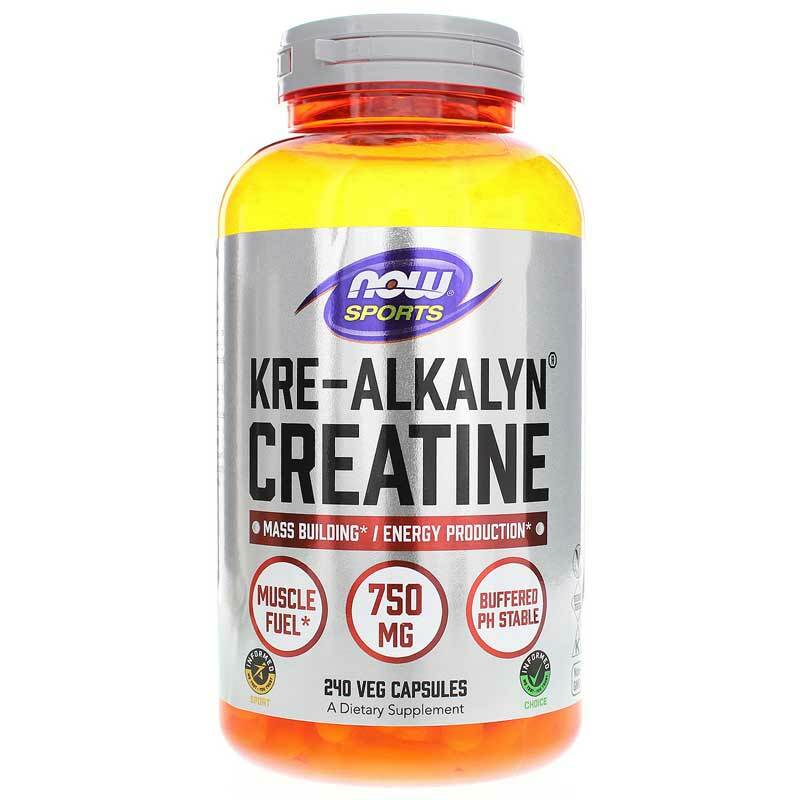 Kre-Alkalyn Creatine by NOW is a creatine monohydrate supplement with a patented buffered Creatine formula that allows it to reach muscle cells in its maximum strength and purity. This patented pH-buffered formula is stable throughout the GI tract, preventing its breakdown to creatinine and allowing it to enter the muscle tissue fully potent, thus eliminating the uncomfortable stomach distress, gas, and bloating that is associated with other Creatine supplements. Adults: As a dietary supplement, take 2 capsules 2 to 4 times daily. Consult a physician if you have impaired kidney function or are taking any prescription medications that affect kidney function. Do not exceed recommended dosage. If you are pregnant or nursing, please consult your healthcare professional before using this product. Keep out of the reach of children.